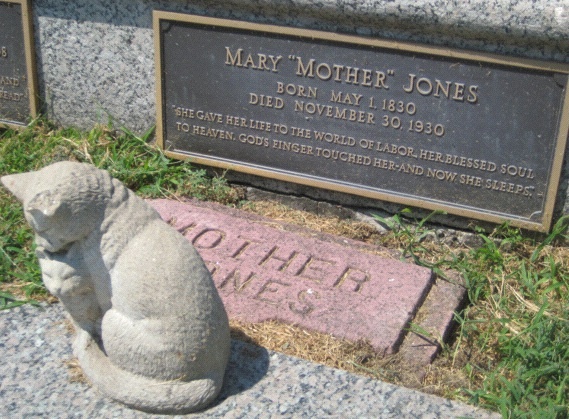 Naturally, when MoJo thinking about where to spend her last days, she turned to Mount Olive, where seven martyred strikers from an 1898 shootout with mine guards in nearby Virden, are buried in a UMW cemtery. As Mother put it, “I hope it will be my consolation when I pass away to feel I sleep under the clay with those brave boys.” And her cat, too. Bonus photos below the jump. 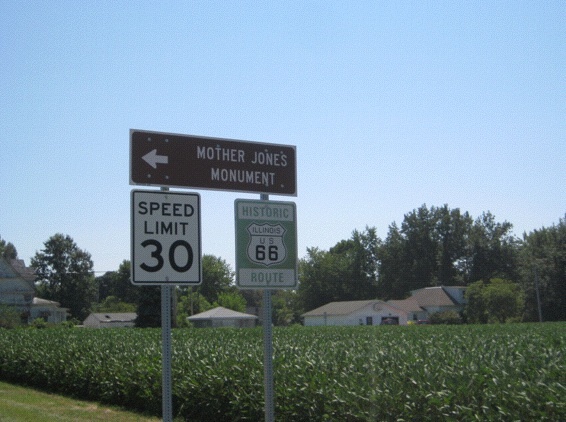 Mother Jones has her own exit off the (probably more famous) highway. 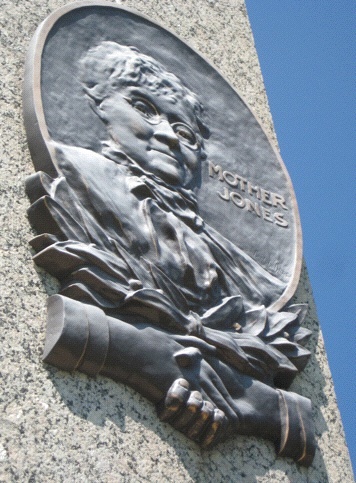 As her final wish, Mother Jones asked for her head to be preserved, Futurama-style, so she could give wise counsel to future generations. Maybe!